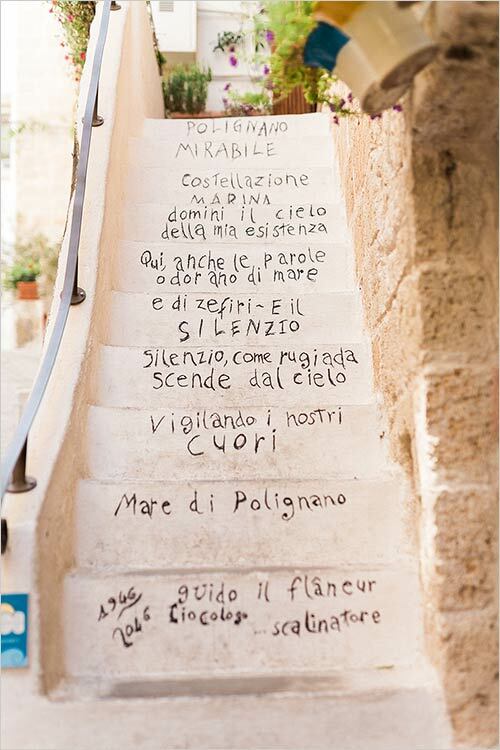 Imagine your romantic marriage in Polignano a Mare: a stunning and picturesque little town in Puglia – Southern Italy. 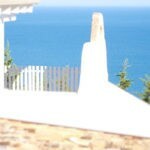 Village is located on a hilly spur looking onto Adriatic Sea. An exceptional historical environment! 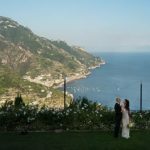 Discover elegant historical town while walking along charming streets and feel the superb flair of this wonderful and eye-catching wedding destination for brides and grooms coming from all over the world. 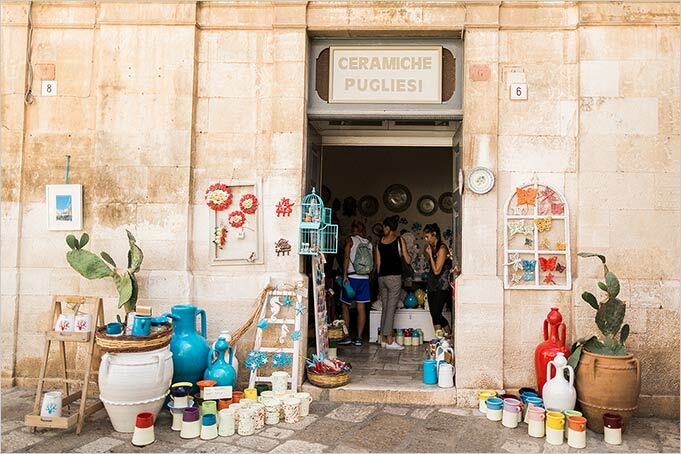 Polignano is quintessentially Italian! it is is the home town of famous Italian singer DOMENICO MODUGNO, yes the one who sang “VOLARE”… Do you know the song? For many this song the true Italian hymn! 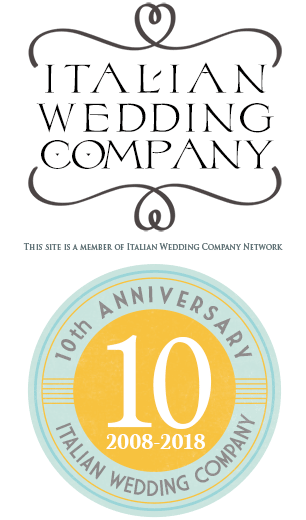 Here you will enjoy amazing views and your wedding experience in Puglia starts here. Thanks to Antonio di Rocco for these wonderful images. Imagine a real traditional sea town in Italy, a super friendly and extremely welcoming atmosphere. This is Polignano a Mare. 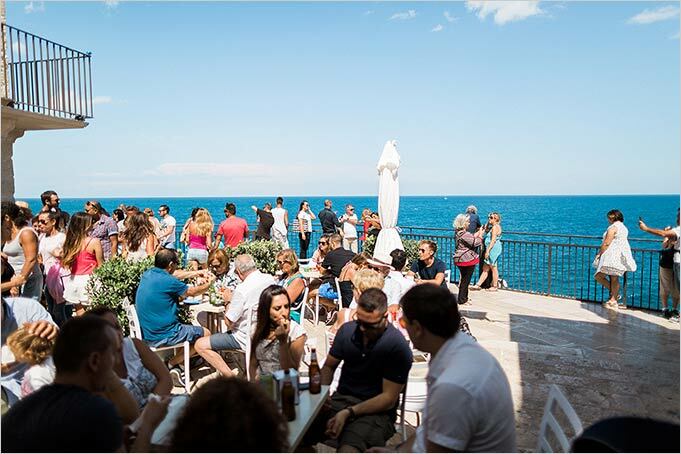 You will enjoy real summer Italia life: Sun, Sea, amazing food, breathtaking views, and a warm welcome. 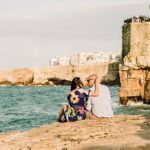 Polignano a Mare is an ideal destination for a wedding in Italy. 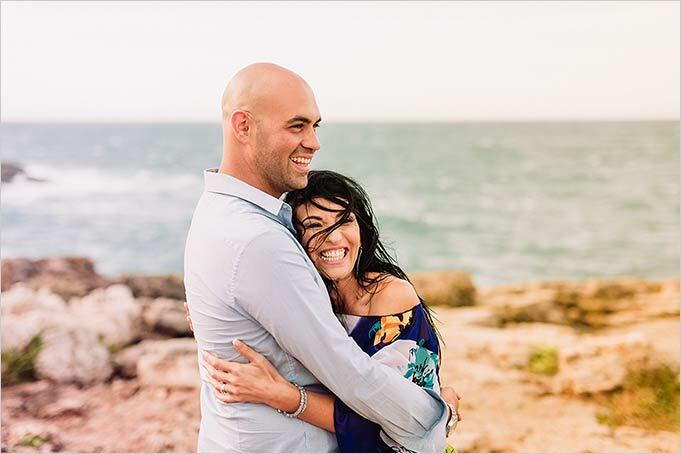 Have a walk via this stunning town, where gorgeous while houses, charming artistic masterpieces and typical boutiques are waiting for you with most elegant beaches and romantic wedding venues for your wedding in Apulia. Discover its charming grottos and stunning views. 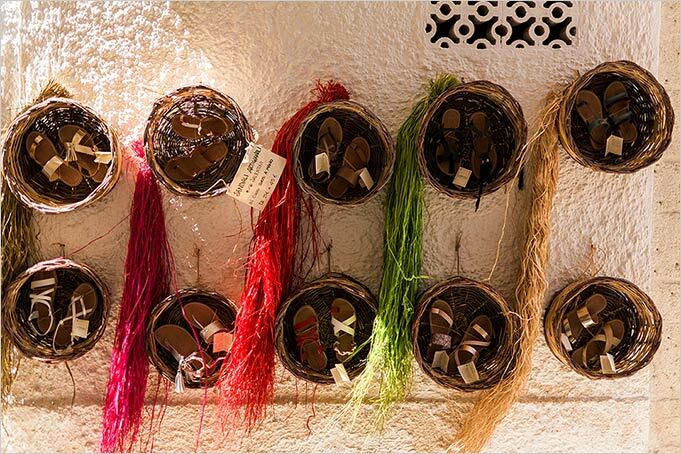 And let’s not forget about Masseria, farmhouses, villas, and private venues for an authentinc Apulian wedding. This wonderful little town can host many solutions for your wedding ceremony. You can choose the one that matches more your wedding style. For your legal civil ceremony we can think about Museo Dini Pascali. It is located just few steps from the historical centre of Polignano A Mare. Or there is a lovely restaurant by the shores or famous coco beach club that can host your ceremony. Inside the beating heart of the village you can celebrate your religious ceremony inside Matrice Church that has a wonderful breathtaking view. 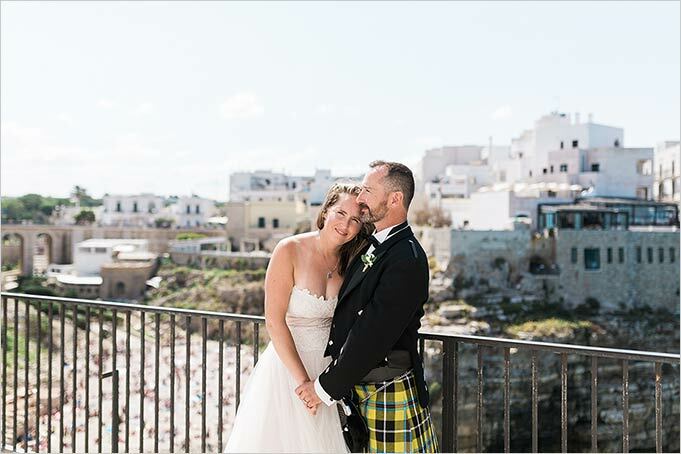 Polignano a Mare has unique scenarios that can be just perfect for your wedding photos. 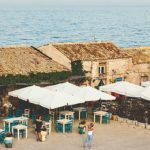 Little narrow roads, statue of one of the most famous Italian signer Domenico Modugno by the seashores or the fantastic view over Lama Monachile bridge are some of these amazing spots. 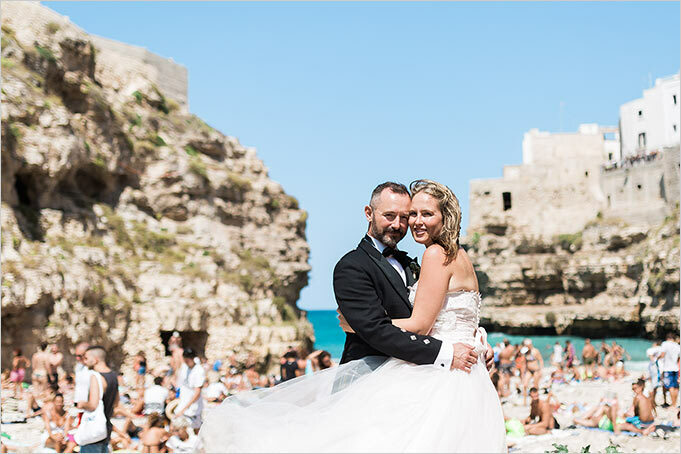 Polignano a Mare is one of the most wanted wedding destination in Apulia. It is located just 33 km from Bari and its airport and transfers to get in the town can be easy planned. 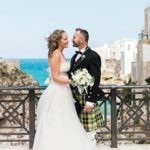 Your wedding in Polignano a Mare deserved the best we will be happy to support and help you with care and enthusiasm: we are looking forward to helping you plan a great wedding in Southern Italy - Apulia.